Magazines make great gifts! These are educational and perfect for kids ages 6-12. Through tomorrow, February 26 use code SAVE to get 20% off! The code can be used 3 times per account and will be applied to one unit per transaction. 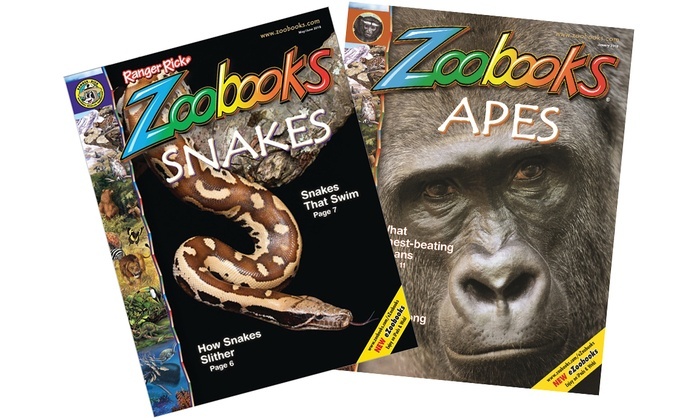 Two-Year, 18-Issue Print Subscription to Zoobooks for $18 (reg $59.90) *$14.40 after code, just $7.20 per year! Digital subscribers receive access to the e-book versions of the magazines. Print subscribers are shipped physical magazines each month. Promotional value expires 90 days after purchase. Amount paid never expires. Free shipping. Doesn’t ship to Canada. Most orders ship within 6-14 weeks from the redemption date. 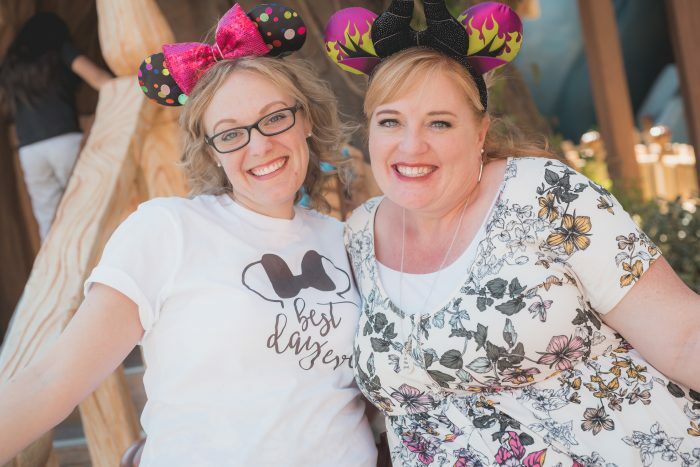 $3.00 non-refundable processing fee charged upon redemption for print options. FINAL SALE; no returns unless defective. Return policy. If a magazine becomes unavailable, it may be replaced by another. The number of issues is subject to change at any time. Limit 1 per person, may buy 4 additional as gift(s). Not valid with other offers or promotions. Merchant is solely responsible to purchasers for the care and quality of the advertised goods and services. Your younger readers, check out Ranger Rick Jr! My 5-year-old has been getting this since Christmas and loves it! 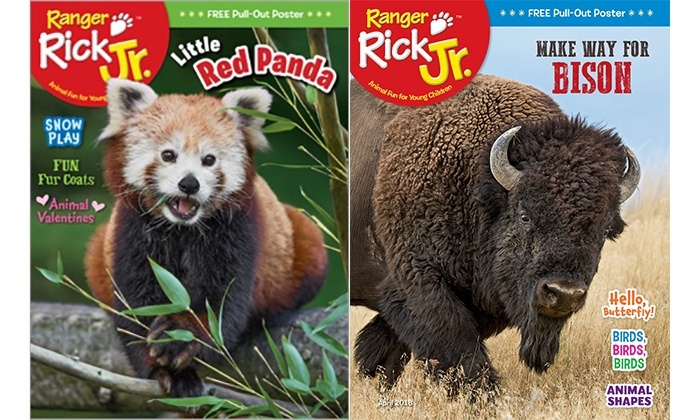 Half-Year Print Subscription to Ranger Rick Jr. for $8 (reg $9.97) *$6.40 after code SAVE. One-Year Print Subscription to Ranger Rick Jr. for $16 (reg $19.95) *$12.80 after code SAVE. One-Year Print & Digital Subscription to Ranger Rick Jr. for $19.95 (reg $24.95) *$15.96 after code SAVE. Ranger Rick Magazine introduce kids to nature and animals via vibrant photography, engaging stories, and educational activities. 1/2-Year Print Subscription for $8 (reg $9.97) *$6.40 after code SAVE. 1-Year Print Subscription for $16 (reg $19.95) *$12.80 after code SAVE. 1-Year Print & Digital Subscription for $19.95 (reg $24.95) *$15.96 after code SAVE. Nothing kick-starts kids’ imaginations and curiosity quite like the animal kingdom, and that sense of wonder is all over the glossy pages of Ranger Rick Cub. One-Year Digital Subscription to Ranger Rick Cub for $5 (reg $15) *$4 after code SAVE. One Half-Year Print Subscription to Ranger Rick Cub for $8 (reg $9.97) *$6.40 after code SAVE. One-Year Print Subscription to Ranger Rick Cub for $16 (reg $19.95) *$12.80 after code SAVE. One-Year Print and Digital Subscription to Ranger Rick Cub for $19.95 (reg $24.95) *$15.96 after code SAVE. Zoobies Magazine is full of pictures and designed to introduce infants and toddlers to various animals through stories, puzzles, and photos, while creating an early interest in reading. For kids ages 0 to 3 years old. 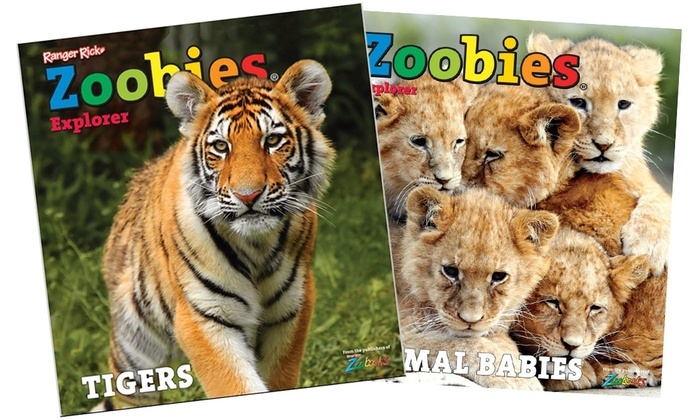 One Year Digital Subscription to Zoobies Magazine for $5 (reg $19.95) *$4 after code SAVE. One Year, Six-Issue Print Subscription to Zoobies Magazine for $10 (reg $29.95) *$8 after code SAVE. 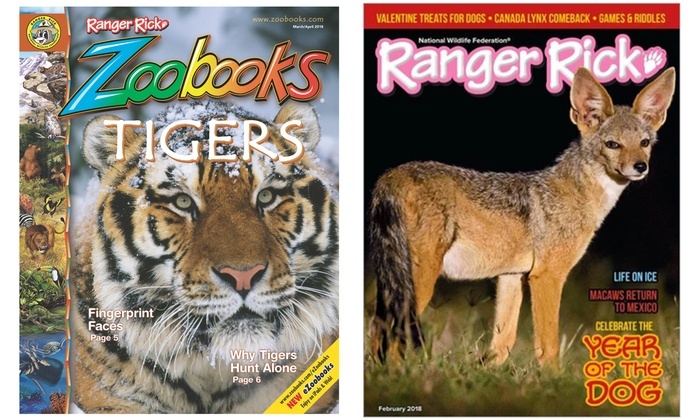 Two Year, 12 Issue Print Subscription to Zoobies Magazine for $18 (reg $59.90) *$14.40 after code SAVE, $7.20 per year. Or check out this option! 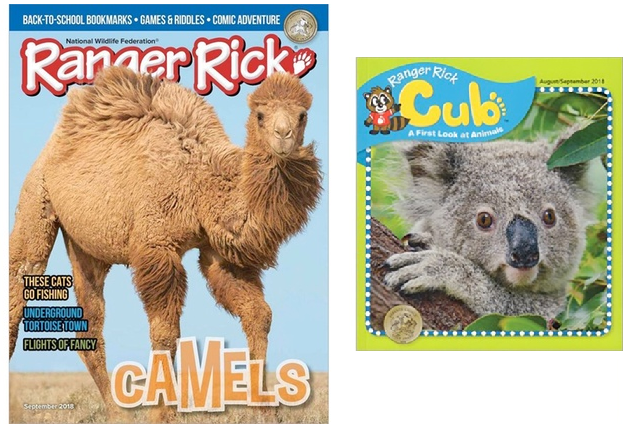 One Year Print Subscription to Ranger Rick and Ranger Rick Zoobooks Magazines for $20 (reg $99.80) *$16 after code SAVE, $8 each. Promotional value expires 90 days after purchase. Amount paid never expires. Free shipping. Doesn’t ship to Canada. Most orders ship within 6-14 weeks from the redemption date. Only valid for print subscriptions. No returns unless defective. Limit 1 per person, may buy 4 additional as gift(s). Not valid with other offers or promotions. All sales final. Merchant is solely responsible to purchasers for the care and quality of the advertised goods and services. 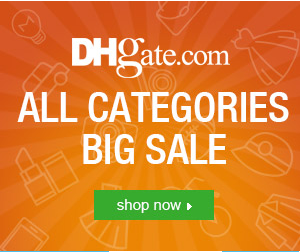 Babies, Kids, & Toys • Featured Deals • Featured Stores • Groupon • Hot Deals • Magazine Deals • Movies, Music, Books, Etc.